Gemalto announced that the Danish State Police has renewed its multi-year agreement for a complete Sealys electronic passport production and issuance service. The new outsourcing contract is for five years with an option for an additional five years. At the heart of the contract, Gemalto provides its Allynis Issuance operated services, which include e-passport personalization from its Denmark-based secure service center, and delivery to citizens. The set of services enables the Danish Police a regular flow of delivery, ensuring citizens do receive their passport within a very short delivery time. Gemalto also manages the production of all Sealys e-passport components, as well as booklet assembly. 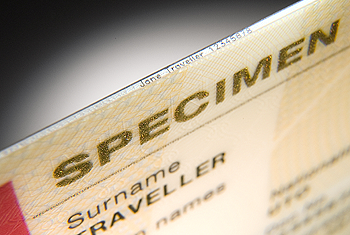 The travel document incorporates Gemalto’s secure laser-engraved polycarbonate data-page, fitted with innovative security features. The Sealys eData-page includes a contactless microprocessor running Gemalto’s operating system and carrying the holder’s digitized photograph, in addition to their demographic data already laser-engraved and human-readable. Gemalto has been deploying more than four million e-passports in Denmark up till now, as part of the previous contract.